Made with 60% mohair and 40% wool. 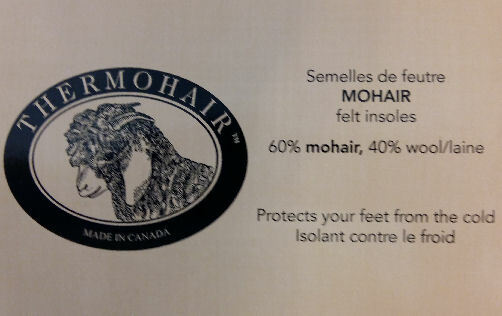 To cushion and insulate the bottom of your feet. Men sizes are 4 mm thick. Thick enough to be comfortable in hiking shoes and work boots. Men felt soles come in sizes 6 to 13.